Product prices and availability are accurate as of 2019-04-18 14:44:23 UTC and are subject to change. Any price and availability information displayed on http://www.amazon.com/ at the time of purchase will apply to the purchase of this product. 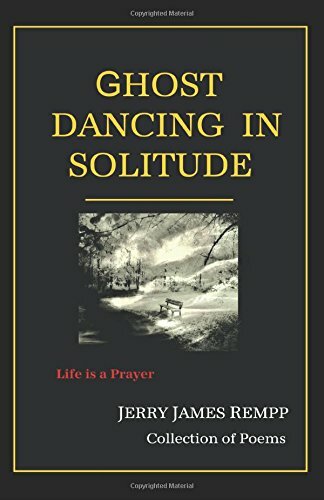 Author Bookstand is proud to offer Ghost Dancing in Solitude by Bookstand Publishing. Bookstand Publishing offers books by the best indie authors throughout North America and the world. Bookstand Publishing is dedicated to offering original content to a broad audience and promoting great authors, literacy, and freedom of expression. Ghost Dancing in Solitude has generated a lot of interest and excitement and we think it would be an excellent addition to your library. This collection of poetry spanning five decades is a fetching together of pieces from a larger assortment. Poems included range from lyrical and free verse, to lengthy narrative and miscellaneous poems containing dialogue. Such diversity normally suggests structural influences over time; however, the author preferred not to arrange poems chronologically, rather, to observe the sum as a present experience. 'Why would a collection of poems also contain an essay? Because a poem is compact: the meticulous workings of a tiny watch. But an essay: Well, that's like the wind blowin' pages out the back of an old rumble seat. Obviously, there's something I wish to say in my elder years.' Other books by the author include: Hold Fast to Quiet Things; Delphic Particle; Menitheos, the Skeptical Savior and Unstrained Mercy. 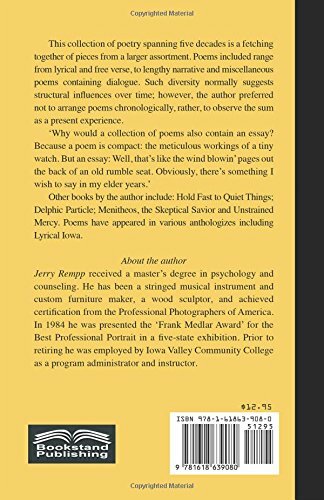 Poems have appeared in various anthologizes including Lyrical Iowa.